The restaurant resides in the same building as the Route 20 Cafe, and, just like the cafe, it has been overhauled and rebranded. It used to be the less inviting China Wok. I have no idea whether it’s just a simple rebranding or whether there was an ownership change. It’s not really relevant, I guess. 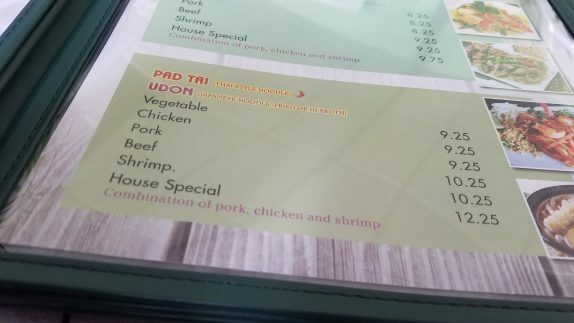 A couple of things are unique to this restaurant. 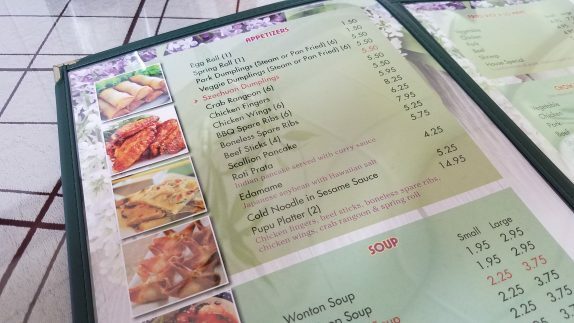 The first indication that it’s not your run-of-the-mill Chinese takeout joint is that there aren’t 2 stacks of 11 x 17″ menus with every permutation of takeout dish, protein, vegetable, and sauce you can dream of and a cup of rice with pens sticking out. 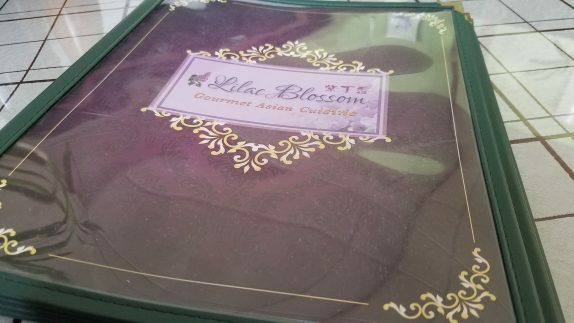 On the counter are vibrantly printed menus (with pictures) in protective coverings. It’s also not a terribly wordy menu. 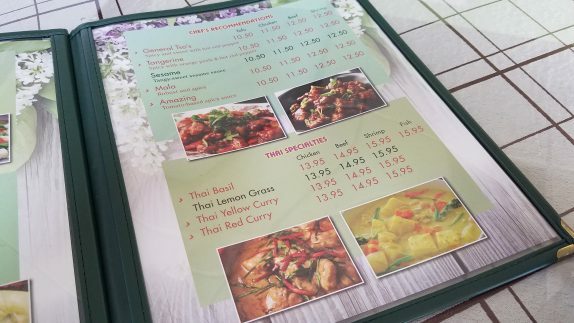 But it’s the presence of Indian and Thai specialties that is the most unique feature to the menu. As most takeout restaurants are set up, you can see into the kitchen. 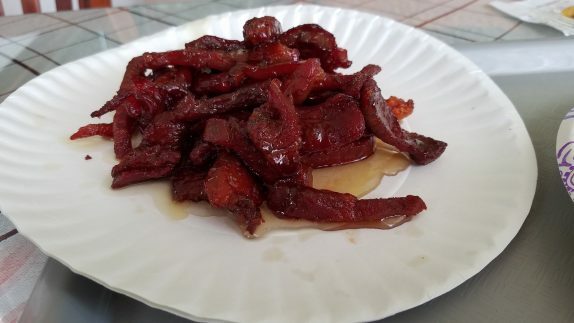 I never saw the boneless spare ribs enter the salamander. I never saw anyone cut them up with a cleaver. I just saw them take them from the fridge and reheat them in a microwave. They were as mediocre as you can get, and they were unforgivably oily. I had to use a handful of their minuscule napkins to blot them dry. Total waste of $6.25. 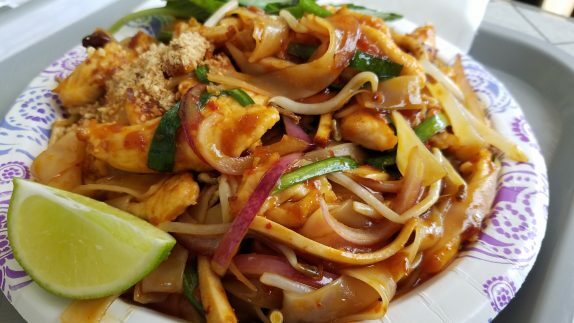 The pad Thai was a completely different story. In fact, striking the boneless spare ribs from memory, the experience with the food was beyond stellar. 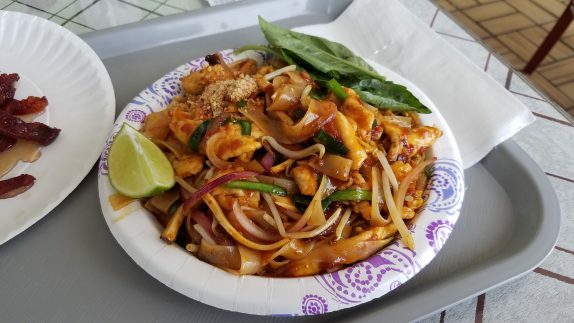 This was the most authentic, interesting, and comprehensive pad Thai I’ve experienced. The sauce was memorable. It was deep, rich, spicy, and tangy (even before the spritz of lime). It even had a very small dose of fermented black beans to thicken the sauce. 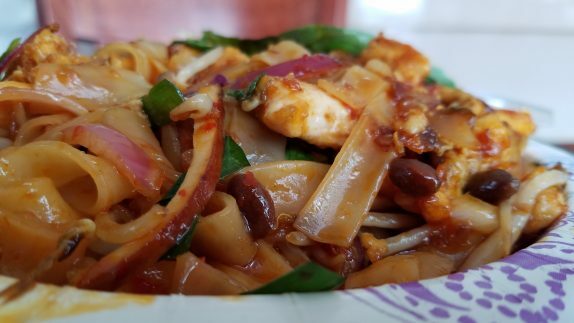 There was a good amount of chicken, a nicely scrambled egg, sprouts, al dente noodles, pickled red onions, a dusting of crushed peanuts, and 4 large leaves of Thai basil. If you’re not familiar with Thai basil, I’d highly recommend seeking it out. It has the basic fragrance of standard basil but also has aromas of anise and is sweeter. 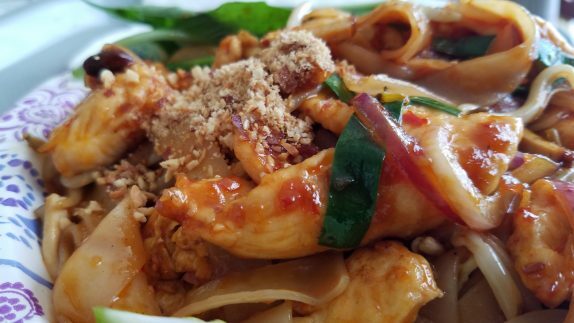 The leaves were large enough that I could easily have used them as a delivery device for the pad Thai, but I tore it up and tossed it through the dish to elevate the flavors and aroma even more. 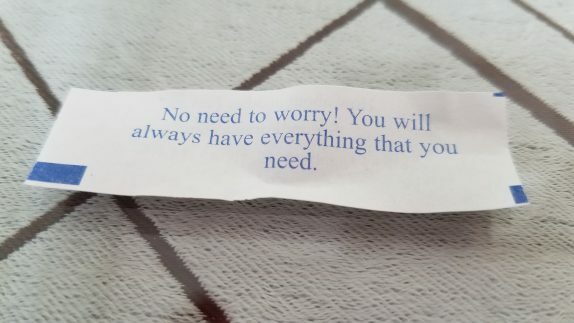 To remind you that you’re still in what looks like a Chinese takeout restaurant, they provide fortune cookies. 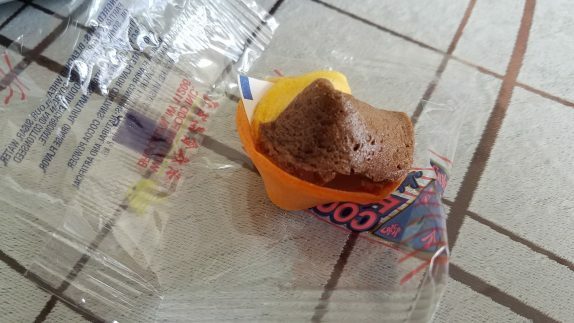 At least this one had a stripe of chocolate, not that it alters the flavor at all.